Indian batsmen capitulated meekly against both pace and spin to be shot out for 215 before hitting back at South Africa with two early scalps on day one of the third and penultimate Test in Nagpur on Wednesday. South Africa were reduced to 11 for two in their first innings at stumps after the spin duo of Ravichandran Ashwin and Ravindra Jadeja claimed a wicket apiece on a dry, dusty pitch at the Vidharba Cricket Association stadium. Stiaan van Zyl (0) and Imran Tahir (4) were dismissed cheaply, while Hashim Amla and Dean Elgar (7 not out) will resume their innings tomorrow.Earlier, off-spinner Simon Harmer and fast bowler Morne Morkel bamboozled Indians as the duo shared seven wickets between themselves. Congress vice president Rahul Gandhi had an embarassing moment during his interaction with students at Mount Carmel in Bangalore on Tuesday. Slamming Modi government Swach Bharat Abhiyaan, when the young MP asked the students if they saw India clean, the students responded in resonating yes. The Congress leader, however, replied ‘you might see it I don’t’. It didn’t end here as the Congress MP again asked the student if they thought the Make in India was really working and the students again gave the same reply, making the leader uncomfortable.Targeting the government over rising intolerance, Gandhi said the BJP doesn’t believe in holding talks with the Opposition. They just know how to silence the voices, said Gandhi. In a sharp attack to Prime Minister Narendra Modi, Gandhi said, In the Central government today, there is only one man who takes every single decision. It can’t be that he has all the answers to the problems of our country. Rahul then tried another question. You think Make in India is working? This time, he got a mix of ayes and nays. “You think youngsters in India are getting jobs?” he asked. He finally stopped asking. I don’t see a vision that the BJP is projecting. So for the Congress. 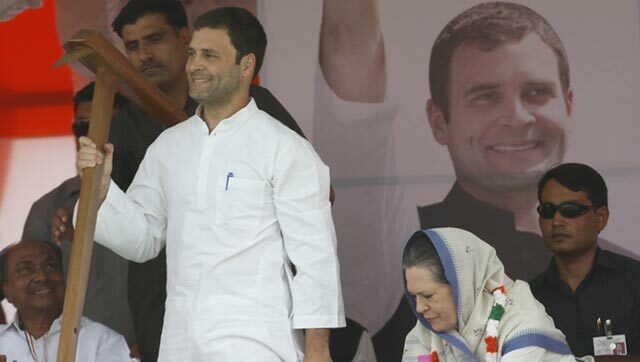 we have to come up with a potential vision for the people of India, he said. I am against the idea that certain people in the country have all the answers, and everybody else should not be part of the conversation, Rahul said, adding that the “suit-boot sarkar, his famous phrase for the government, is failing. The BJP fast, lapped up on this embarrassment, saying the Congress vice-president should check his facts before making any judgement on progress of government schemes. Rahul Gandhi should understand that they have failed. He was answered by the students today. People are with us and we are working for them, said union minister Ravi Shankar Prasad. Couple dies of electrocution in Chennai owing to the recent heavy rains: Karunanidhi, and his wife Sudha are a mid-twenties couple in Velachery, would leave their kids with relatives while they earned a living doing construction work. On this fateful Sunday, the couple was returning home after picking up their 3-year old and 6-year old children; on their way while they were buying groceries at a store in Ashtalakshmi Nagar, which was their usual routine. Suddenly an overhead power cable snapped, electrocuting Karunanidhi sitting on his bike, his wife Sudha who was holding on to him and their 6-year old daughter Aarthisri. “When I turned to them to give them their grocery, they were getting electrocuted,” says Radhalakshmi, the grocery shop owner. Radhalakshmi pushed the younger daughter Nithyasri, aged 3, who was perched on the fuel tank down with the help of a stick. Both Karunanidhi and Sudha died on the spot. The elder daughter’s fingers have twisted inwards. She sustained injuries on her shoulder and hand. While the younger one was saved from electrocution, she too has been hospitalized as she has an existing heart condition. Meizu m2 Note In a bid to cater to consumers seeking a smartphone with high-end features at a reasonable price, Meizu — one of the top 10 smartphone and consumer electronics manufacturers in China – has unveiled its “Meizu m2 Note smartphone in India. Priced at Rs 9,999 – a price field where most of the old and new entrants are now fighting to grab a bigger pie – Meizu m2 offers a bulk of features with high-end specifications that other smartphones in the similar price bracket lack.The phone comes with two variants – 16 GB and 32 GB – of internal storage packs that can be expanded up to 128 GB via a microSD memory card. A British company claims to have invented a working hydrogen-powered smartphone battery that could potentially allow your phone to go a week without recharging.Intelligent Energy, a British power technology company, has made a working prototype of an iPhone 6 with the new battery. Fitted with its rechargable battery and their new technology, the iPhone looks and feels very similar – the only difference is the small vents on the back of the phone, that allow imperceptible amounts of water vapour to escape, a byproduct of the hydrogen battery. HTC on Wednesday launched its One A9 phone in India. The device, which looks remarkably similar to the iPhone 6S, is, according to HTC, one of its best smartphone ever as it comes with new state-of-the-art camera, audio and screen features. At its launch event, the One A9 was accompanied by the Desire 828, a phone that the company claims is targeted at users who love to click the selfies because despite its mass market and mainstream focus, it has a 4-megapixel “ultrapixel” camera on the front. The Desire 828 supports dual-SIM functionality. On Wednesday HTC did not announce the price of its phones. The company said that the price would be revealed closer to the availability of the devices in the market. “Stay tuned. We will reveal the price soon…We will finalise the prices closer to the availability because there are lots of factors like fluctuating exchange rate etc,” said HTC India chief Faisal Siddiqui. The One A9, which was unveiled globally a few weeks ago, is a phone that has polarised the world of phone enthusiasts. Reason? It looks very similar to the Apple’s iPhone 6S. Although argument can be made that the iPhone 6 and the iPhone 6S themselves seem to have drawn some inspiration from the design of earlier HTC phones. The A9, which weighs just a little bit over 140 grams, has the familiar rounded corners and a metal body that may look similar to the one used in the iPhone 6S but is the one that can also be called the evolution of the HTC One M9 body. The drivers are stuck in middle of the bridge as the visibility is completely obstructed by the froth of Bellandur Lake ,It seems one needs special driving skills to cross Bellandur Bridge. Though the bridge is pretty much a straight one, the toxic froth from the lake creates a snowy blind spot to the drivers who often get stuck due to the poor visibility. The situation has become worse for the school buses carrying children. Commuters especially motorists too are having a tough time to cross that bridge. While commuters battle the froth, locals come forward to help the commuters navigate the area. a resident of Bellandur and owner of a small grocery store near the lake, often finds people caught in the froth. Every time it rains, the next day becomes a nightmare as the froth covers the entire stretch. People feel suffocated. Due to this, there have been several accidents. I see at least three to four accidents right after the rainy days,he recalls. He had helped a motorist who was hit by a car due to the lack of visibility on the bridge. His shop, Maruthi Provision Stores, is open from 7am till 9:30 pm and he is accustomed to all the changes around the lake and is well versed with the route. “I mostly guide big vehicles like cars and vans to cross the bridge and the motorists follow suit. Motorists are drastically affected due to the foam which also makes them feel nauseous, he says. Several school vans make their way through the bridge, and the children’s health is affected, he said. Dilip Reddy, a 27-year-old businessman and a local resident, said, “People are not well informed about the status of the lake when they choose the route. When the lake is frothing, people get no guidance that it should be avoided. Some people hit the bridge due to the lack of visibility. The residents complain that the two water sprinklers that were installed by BWSSB to curb the froth are not effective enough. “The magnitude of the froth is enormous and the two sprinklers cannot handle that. Since this is the only connecting way, more traffic is seen in the morning from 9am to 11am and 5pm to 8pm, locals have to be there to guide them if froth is increasing, Reddy adds. 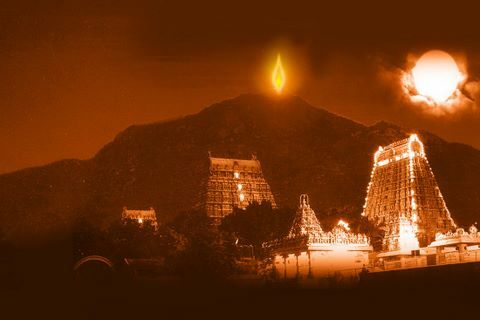 Karthigai Deepam Festival 2015, festivals are celebrated at in Tiruvannamalai throughout the year. Among them Karthigai Deepam is the most significant festival that is celebrated with pomp and gaiety atArunachaleswarar temple.In this year Karthikai Deepam falls on 25th November,2015 .This Karthigai Deepam is celebrated as a ten day festival and it widely known as Karthigai Brahmotsavam. The first day (16.11.2015) – Karthika Deepam festival begins with the hosting of the flag signifying the commencement of the festival also known as Dwajaroghanam. In the morning and night Lord Arunachaleswarar will be taken out on the silver vahana for procession. The Panchamurthis(Panchamurthigal) are also taken out in the procession. The Panchamurthigal are Lord Ganapathi, Lord Murugan, Lord Sandeswarar, Lord Arunachaleswarar and Goddess Parvathi.These processions are carried out on different vahanas after the Deeparadhana is done at the kalyana mandapam. The second day (17.11.2015) – Karthigai Deepam festival commences with the Lord Panchamurthigal coming on Indira Vimanam the chariot of Lord Indira. The third day (18.11.2015) – Karthigai Deepam festival the ceremony begins at night with the Lord Panchamurthigal coming in procession majestically on the Simha vahana, the chariot of lion. 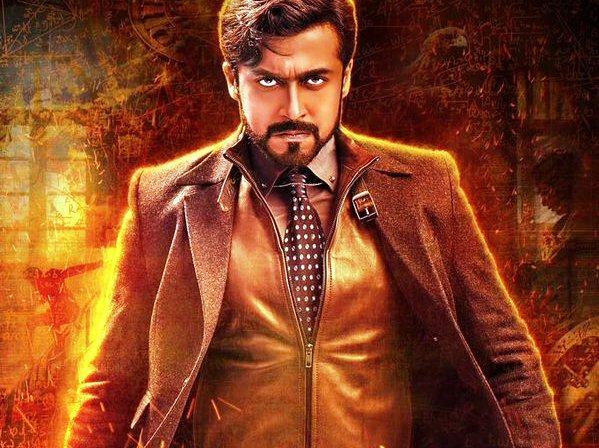 First look posters of Suriya 24,he first look posters of Suriya-starrer Tamil film "24", which were released online on Tuesday, have piqued a lot of curiosity among the actor's fans and film lovers with regards to its genre. Going by the two posters, Suriya dons extremely distinct avatars of an assassin and a scientist. Rumoured to be based on the concept of time-travel, the film also stars Samantha Ruth Prabhu and Nithya Menen. Jointly produced by Studio Green and 2D Entertainment, the film is directed by Vikram Kumar and is slated for a summer 2016 release. The film has music by A.R. Rahman. IS HARMANPREET SINGH INDIA’S ANSWER TO PENALTY CORNER WOES? Indian passport among those to be declared invalid from November 25, 2015? If you are planning to go on a vacation abroad, check your passports. The International Civil Aviation Organisation (ICAO), which India is part of, has announced that non-machine readable (handwritten) passports will not be deemed valid after November 24, 2015. The countries under ICAO will not issue visa to persons holding passports that are handwritten or valid for 20 years.The rule will be implemented from November 25, 2015, reports thelogicalindian.com.Notably, in India, handwritten passports were issued before 2001, and are still in practice, says the report. Bengaluru passport office became one of the top offices to receive many quarries regarding this, media reports say.Please be informed about this rule and make the changes in your passport getting a new one to avoid last minute glitches in your travel plan and spread the word across. If your passport is a hand written passport issued before 2001, with a validity of 20 years only, then you need to get it re-issued right away Those holding such passports with validity beyond November 24, 2015 should apply for the reissue of their passports.